In a country with a dark past after years of warfare, Article22 steps in to create a new story for Laos. Transforming weapons into accessories and war into peace, local artisans create high-end, luxury jewellery using shrapnel left behind after the region’s war. Every piece of jewellery tells both the untold story of a nation and a new tale of transformation. By creating accessories with tangible value that represent peace, strength and unity using the virtuous circle motif, the Article22 collections transform past, present and future. Every piece of jewellery takes on a new, positive meaning to create a powerful relationship between consumers, objects and ideas. The impact of Article22 is by no means abstract. Your jewellery has come to fruition thanks to the hard work of twelve local artisan families who are employed to create the jewellery, earning salaries equal to five times the local minimum wage. 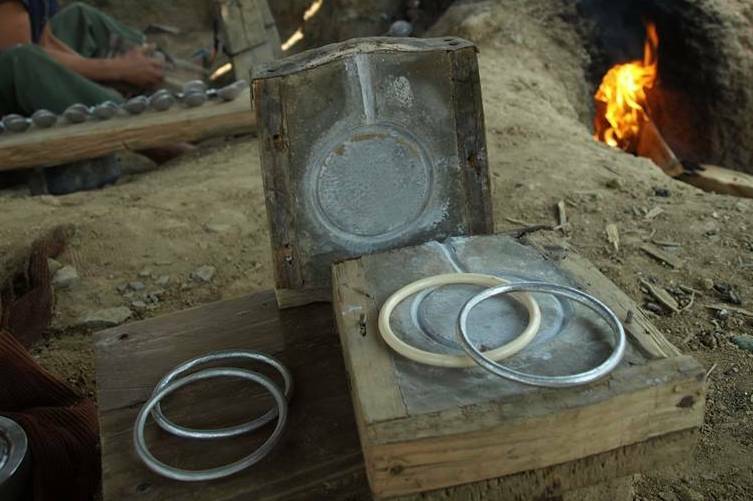 When you buy jewellery from One Good Thing and Article22, you are helping to clear a bomb-littered land and create a safer environment for the local people. For every single bracelet sold, around 3m2 of land is cleared. Your jewellery purchase is also providing artisans with fresh scrap metal to support their ongoing trade. Article22 not only cleans up the remnants of a violent past – it works to build a stronger future. By choosing to buy from an authentic brand, you are supporting a sustainable economic model that helps families to create a strong foundation for future generations. This is a model that protects local culture and resources whilst building the supply chain and providing disposable income for education, petrol and medicine. Learning is key to sustaining change and Article22 collaborates with demining organisations to provide risk education to the local population for safer scrap collection. An additional 10% on top of proceeds is provided to the local community to support development. Ambitious New Yorker Elizabeth Suda left her glamorous job working for a major global fashion brand back in 2008. Why? She was fuelled by a desire to answer one question – “how and by whom are the goods we consume made?” Elizabeth’s journey took her to Laos where she literally knocked on doors to get behind the scenes of local textile business. Whilst travelling in the remote farming village of Naphia in the Xiengkhouang province, she stumbled upon a group of artisans melting down old US bombs to make soup spoons. Inspired by their ability to transform negative impact into positive, Elizabeth sat down with the artisans to turn thoughts into actions. Shortly afterwards, the first designs for Article22 were created. These Dome Earrings are chic, super lightweight and comfortable to wear; finished with sterling silver cups and posts. Aluminum charm engraved with ‘Love Is The Bomb’. 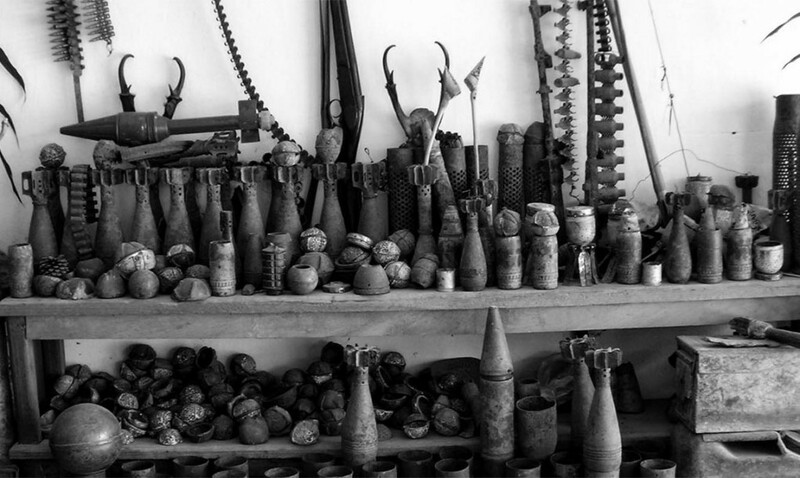 A message that tells the story of transformation from bombs into modern artefacts. Comes on a red waxed cotton cord and can be worn as a necklace, a choker or an anklet. Matt finished military grade aluminum talisman with an industrial beauty. Comes on cord colour of your choice. Wrap around wrist and cut excess leather if necessary.